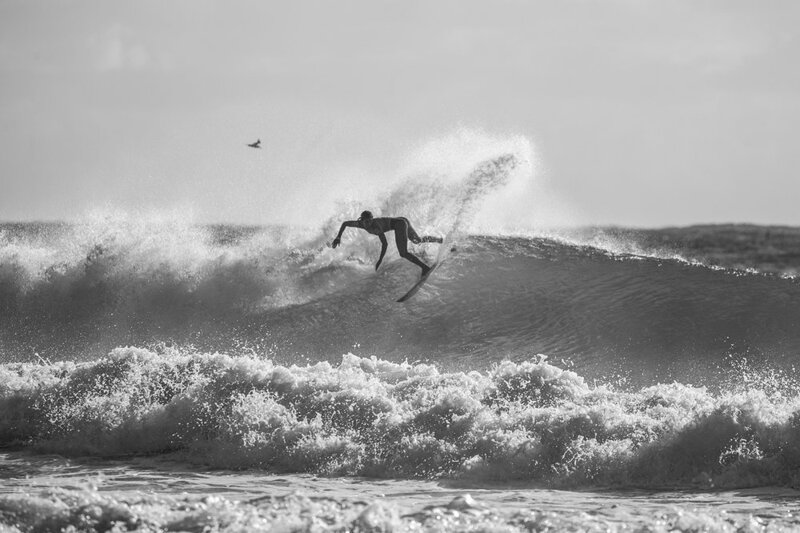 The WSL Women’s World Surfing Tour was back in action for the first day of the 2019 season at Duranbah Beach this morning for the Boost Mobile Gold Coast Pro. 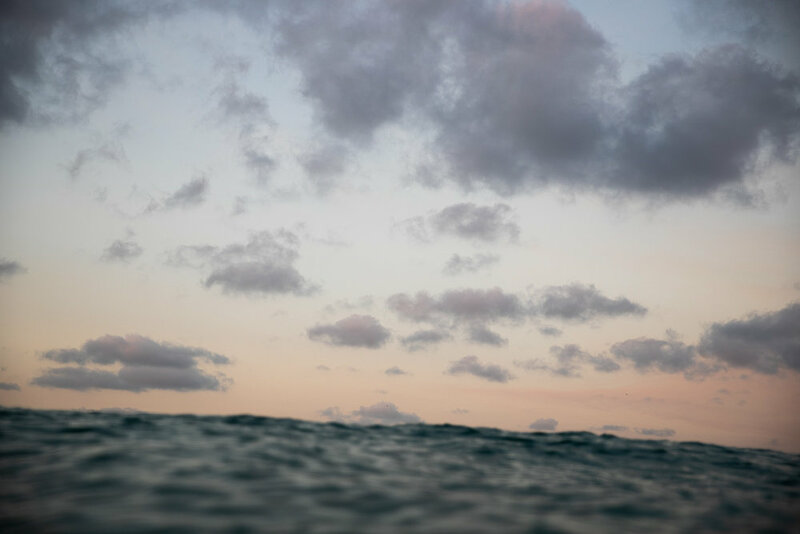 I could say that the women are surfing better than ever and it is worth watching every minute of their contest, but to me, that is a tired cliche that died the moment I saw Carissa Moore do an air…when she was 12. 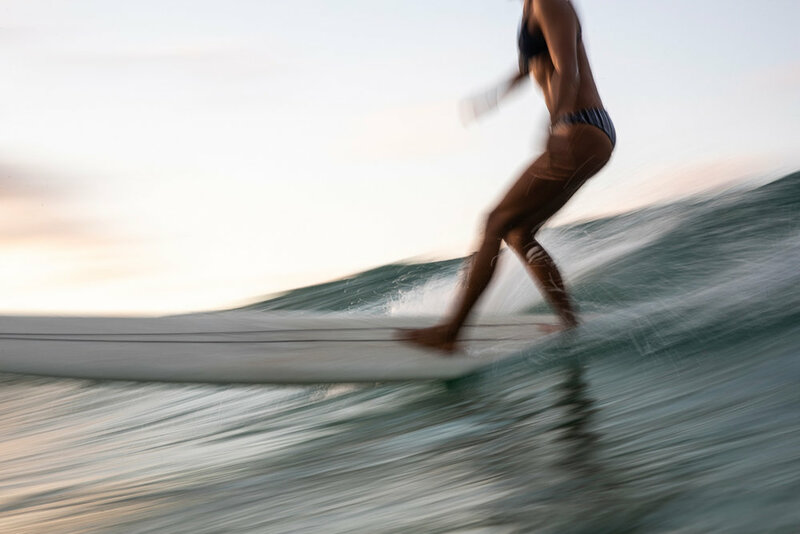 The women’s world tour in 2019 follows on years of building momentum, where absolute professional and elite level skills are being displayed, fostered by a tireless behind-the-scenes (small) army of women at the World Surf League who believe in the value of showcasing these talents as much as the surfers themselves believe in chasing world title glory. So what is new in 2019? Well some obvious and not so obvious observations. Firstly, Isabella Nichols is making a statement. Currently number 1 on the WQS after a blistering Australian Summer, Isabella won the entry trials to the main event two days ago, and went out today to beat seven time world champion Stephanie Gilmore. 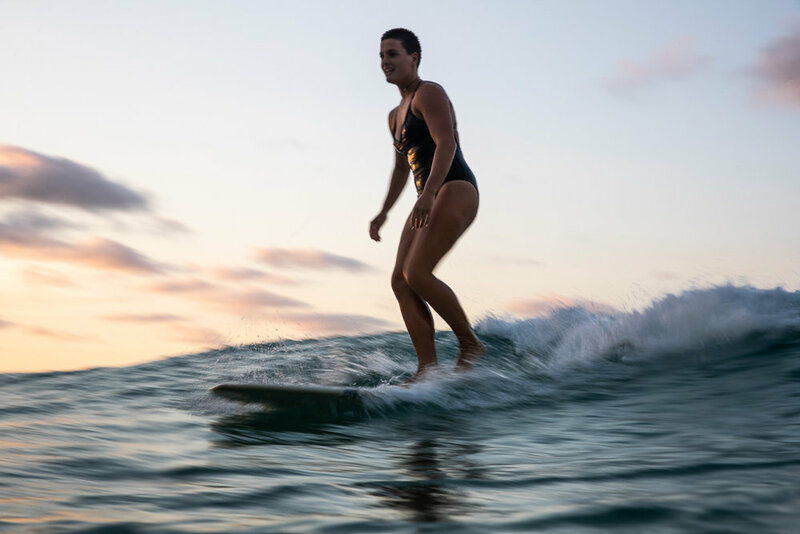 Isabella has always shown prodigious talent, and it looks like her work with Surfing Australia’s physical trainer Joanna Parsonage is paying off as her surfing technique fuses effortlessly into her developing athletic physique. The names Keely Andrew and Sage Erickson wouldn’t look out of place in the draw of any CT event. 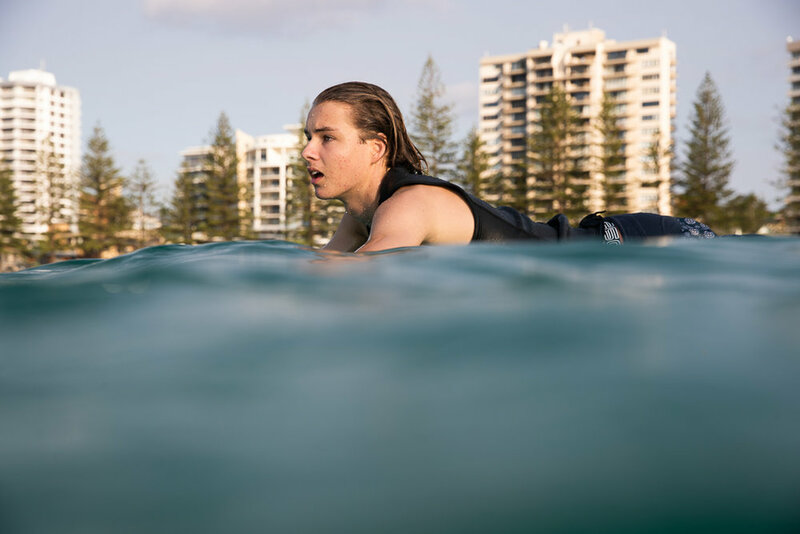 For 2019 though, these world-class surfers are not part of the main fixture of the world tour, but are injury replacements for Silvana Lima and Tyler Wright at this first event. Firstly, I have no doubts that these two exceptional ladies will find their way back again. Sage has already proven her metal by re-qualifying in the past, and Keely is one of the most industrious athletes in all of women’s sport. However, it is the underlying story here that I feel deserves attention. The current level of women’s surfing is worthy of a bigger tour. The qualifying tour is long, expensive and brutal, and I could easily name a dozen women who are world tour worthy (Alessa Quizon, Dimity Stoyle, Holly Wawn, Bianca Buitendag…just to name a few), but are relegated to spending tens of thousands of dollars chasing qualification, in a commercial and sponsorship landscape that crucifies the incomes of female non-tour competitors. So what does this mean in lay-mans terms? 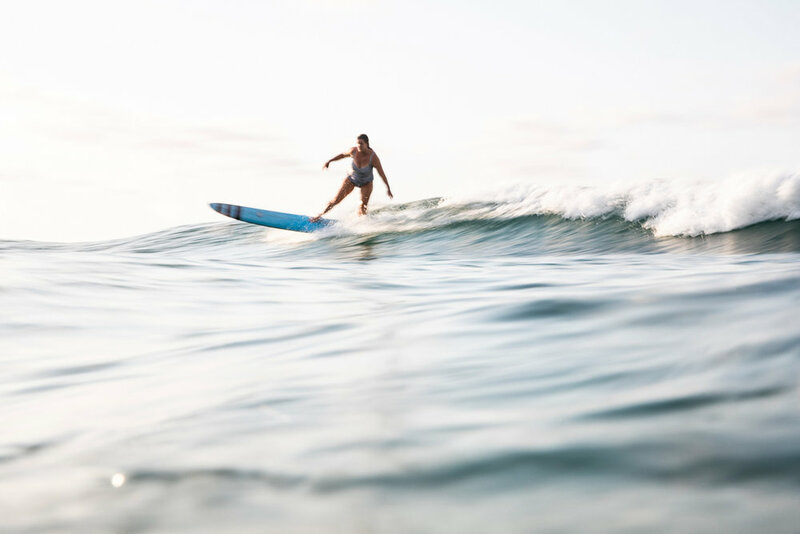 Simply, a professional male surfer who is not on the world tour still earns enough from sponsorship to support his career, whereas the overwhelming majority of females surfers who are not on tour do not. 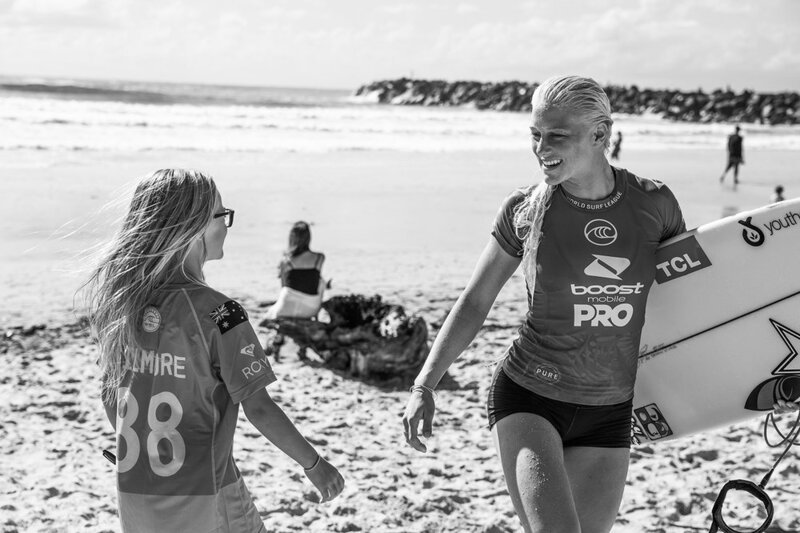 The WSL in awarding equal prize money to both men and women are setting the standards. So this leads me to what I feel will be the biggest story of the Women’s World Tour in 2019. 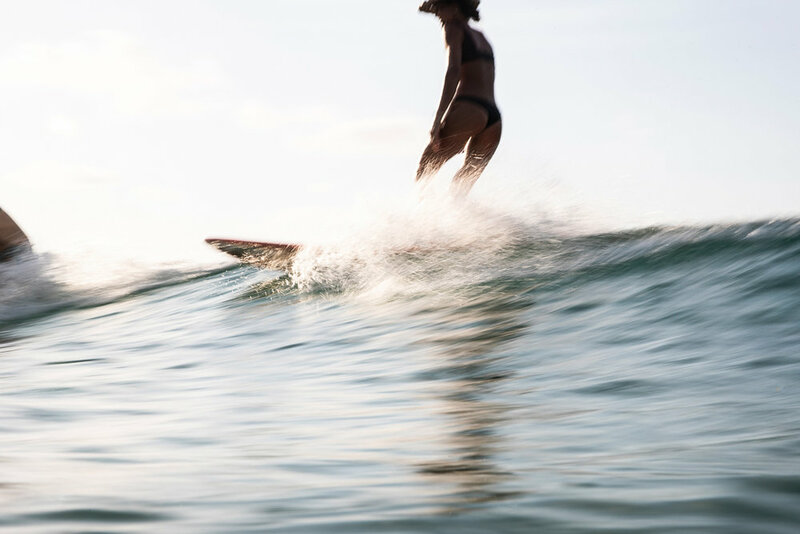 This year will have barrels, airs and world titles, but that will pale into insignificance compared to the overt and overwhelming momentum in the movement for equality that women in surfing are crusading for. 2019 will not be about a single surf story. It will be about the culmination of everyone’s stories, as small and great battles are fought from every corner of the surfing world. So where does this leave us? It’s simple. Dads and Mums, put your daughters into surfing. 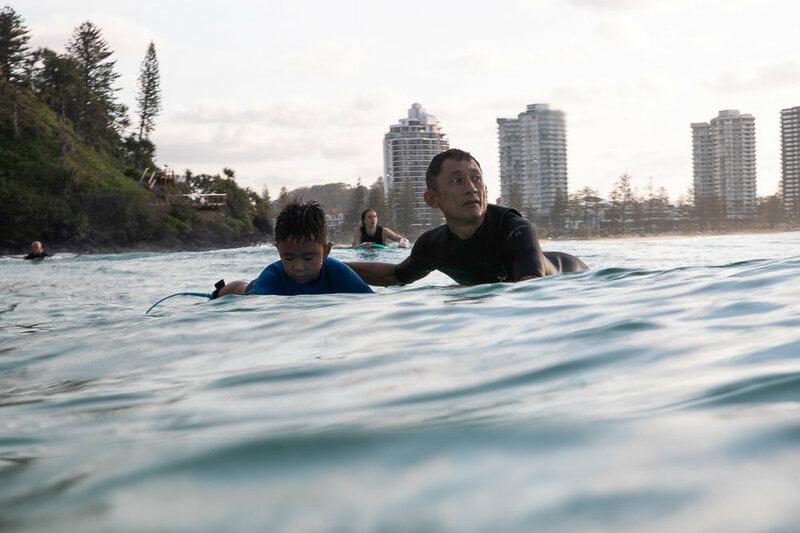 Uncles and aunties, take your niece out into the ocean. 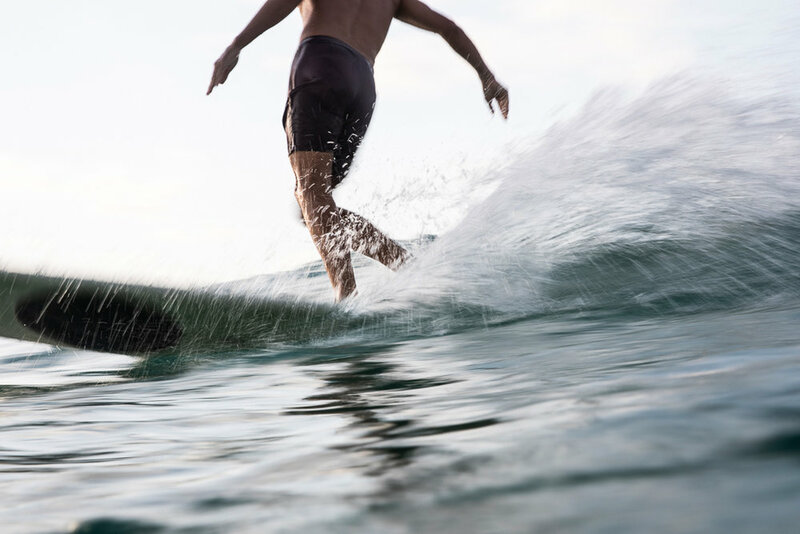 Brothers, join your sister when she drags you out for a wave. Whether you are a professional athlete, a physio, an athlete manager, a creative agency director, a photographer, a surfboard shaper, a designer, a magazine editor or any other number of professions, know that as a female, you have a future in surfing doing these things, one that has been forged by many great women of the past and is continuing to be forged by countless everyday women whose regular lives belie the torrent of internal passion that is the rising swell of equality in the future. Today I visited the Aboriginal Tent Embassy in Canberra. It was a quiet day, but the message was far from silent. One of the last, untouched, pristine environments on the planet is found in the south of Australia, the Great Australian Bight. Majority state owned Norwegian oil giant Equinor has lodged an application to start drilling there, which is being described by activists as a totally unacceptable risk to the environment, the tourism sector and fisheries sector of South Australia. I didn’t know much about the situation until recently. 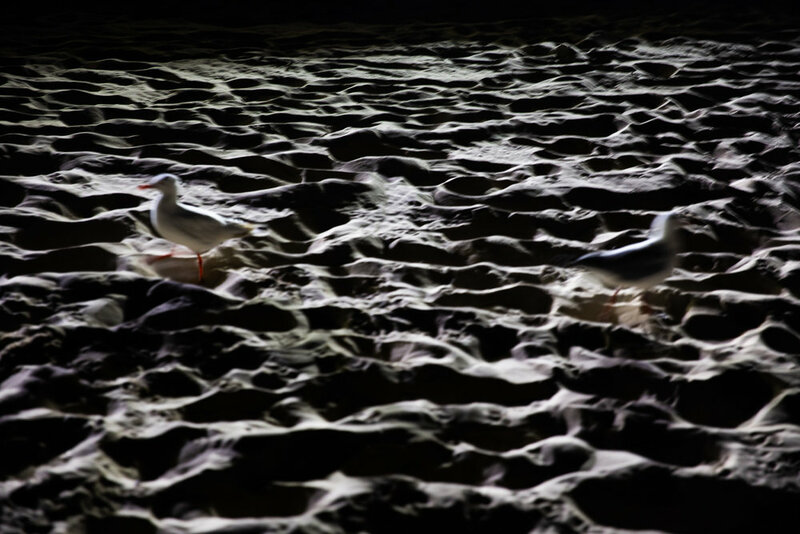 For example, I didn’t know that there are species of animals in the Bight found nowhere else on Earth. I also learned that other oil giants such as BP and Chevron had given up the idea of drilling here in 2016 and 2017, citing that is was not commercially viable. The project is supposed to bring 1500 jobs, but it risks many thousands more. What I found most confronting is that Equinor, the oil company in the spotlight, states openly and prominently on their website about their concerns and action on climate change and renewable energy, and actively working to ‘benefit societies around the world.’ When several tens of thousands of humans in the society they are attempting to extract from protest that their proposed actions are detrimental, to what justification can they believe in what they say they promote. Over the weekend in Burleigh Heads, approximately four thousand people gathered to protest. I joined journalist Eleanor Knight in documenting the event, and we are looking forward to bringing a larger, independent perspective look at the human impact story of the issue in the near future. It can sometimes be difficult to explain why a large number of us choose to live and surf in one of the busiest surf locations on the planet. 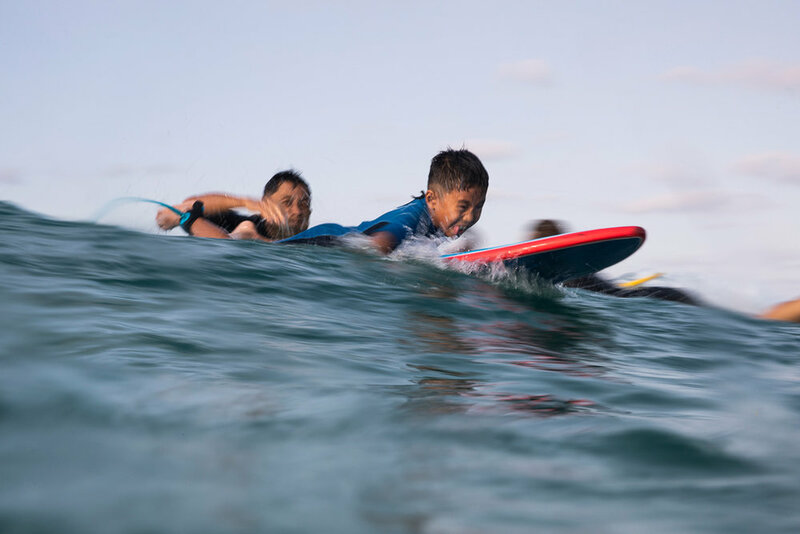 Rainbow Bay has an almost secret but distinct community of surfers that call this part of the world home. A meeting place at all hours of the day, but in particular the late afternoon session, where the worries of the working day are washed away. A chronological sequence of 130+ photos from late afternoon till after sun set. Photographed with a Canon 1dxii, fixed focal length of approximately 62mm, exposure times ranging from 1/500 second to 1 second. I am a big believer in staying sharp. Take your camera everywhere. Shoot what comes to mind. Stay sharp. But don’t oblige yourself to shoot sharp. The news is telling me that natural disasters’ are becoming more frequent and common. I don’t actually have the facts to verify that information, but I’m sure they are available on the world wide web. 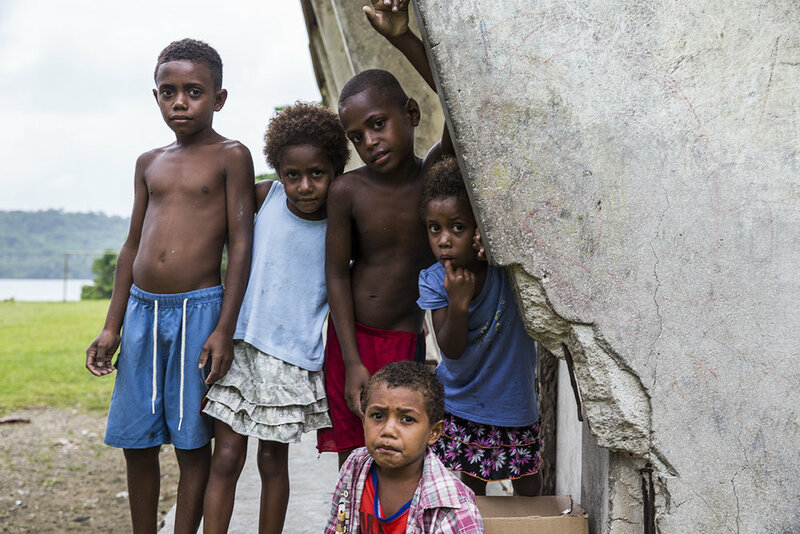 Natural disasters are a regular experience for humankind, and those experienced in the Pacific are numerous and diverse including tropical cyclones, flood, volcanoes, earthquake, tsunami and fire. In SE Queensland, we were warned that Tropical Cyclone Oma may make landfall in our region. I am connected to mains electricity, but not mains water. As part of preparations for Oma, we purchased extra canned food, stored larger amounts of drinking water and had buckets ready for the toilet if required. Flooding from Tropical Cyclone Debbie in 2017 had cut us off from town and we lost electricity for days. We also had to empty one of our water tanks which was at risk of landsliding. Fortunately, Oma turned back from henceforth she came. We lost power for only one day from the associated winds with powerlines going down, which did involve bucket flushing the toilet, something I have become accustomed to doing in many parts of Asia, and I thought, lucky we even have a toilet to flush! I am looking forward to bringing to life my experiences of 2018 from Papua New Guinea, West Timor and the Spice Islands. The Pacific Islands are my neighbours, and it is perhaps this proximity that had lead to my own complacency in my exploration and understanding of this diverse group of islands. It was a great honour to see AgUnity as keynote speaker to the audience of honourable ministers, development partners and guests for the Understanding Risk Finance forum this week in Port Vila, Vanuatu. 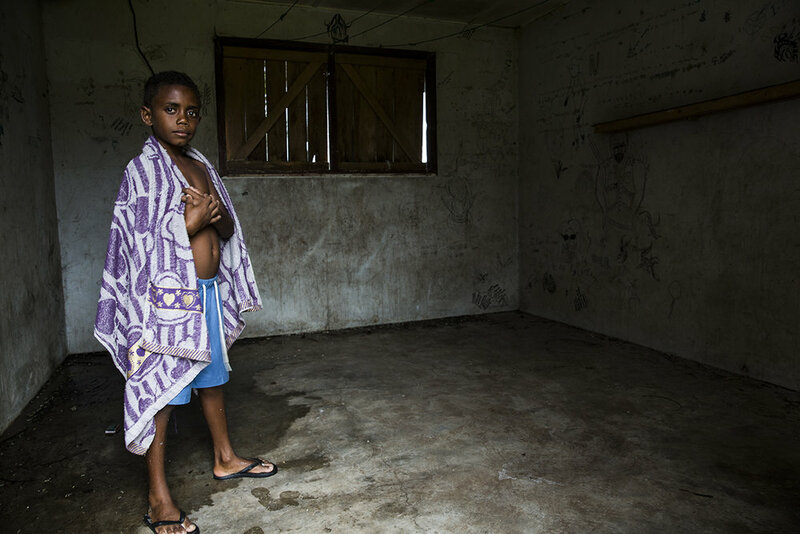 Climate change is an existential threat to many islands of the Pacific, and the ability for communities and nations to work cooperatively is paramount in reducing that threat. 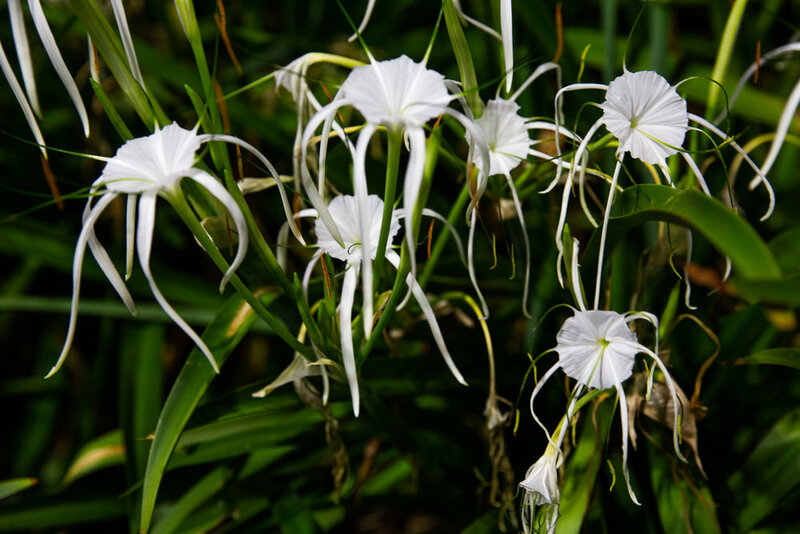 The rich and diverse culture, land and heritage of the people of the Pacific Islands must be protected. AgUnity CEO David Davies spoke to a very receptive audience, and I had the great pleasure of engaging with everyone after the speech whilst David raced off to Rome FAO headquarters for another talk. Thankyou to the Government of Vanuatu and the World Bank Group for having us at the event. It is with great excitement that I have joined the team at AgUnity in bringing trust to the world’s poorest farmers and helping them lift themselves out of poverty. What began as a dinner conversation on solving the ocean plastic crisis lead me down a path that I always envisioned I would undertake. Using photography to tell the stories of those who can not. Small holder farmers have long been a marginalised group in society, disproportionately making up the world’s poor despite producing 70% of the world’s food. AgUnity, using modern block chain technology, has found a way to solve the previously unaddressed problem of trust in small holder farming which has stunted the ability of farmers to empower themselves through their livelihoods. Operating globally and supported by major NGO’s such as UNICEF, Bill and Melinda Gates Foundation and the World Food Programme amongst others, the goal is to simple; improve the lives of a billion of the world’s poorest farmers. 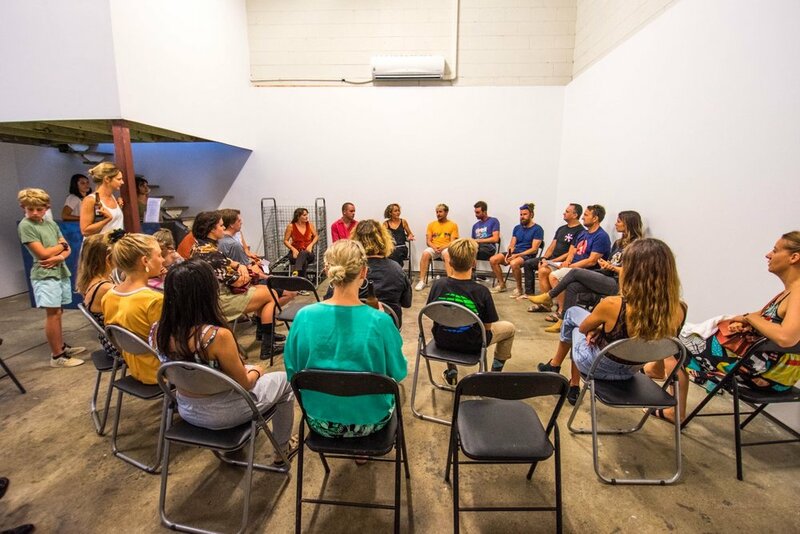 I am proud to be working with like minded humans making meaningful change to the world around us, with hopes for a sustainable and equitable future for humankind. 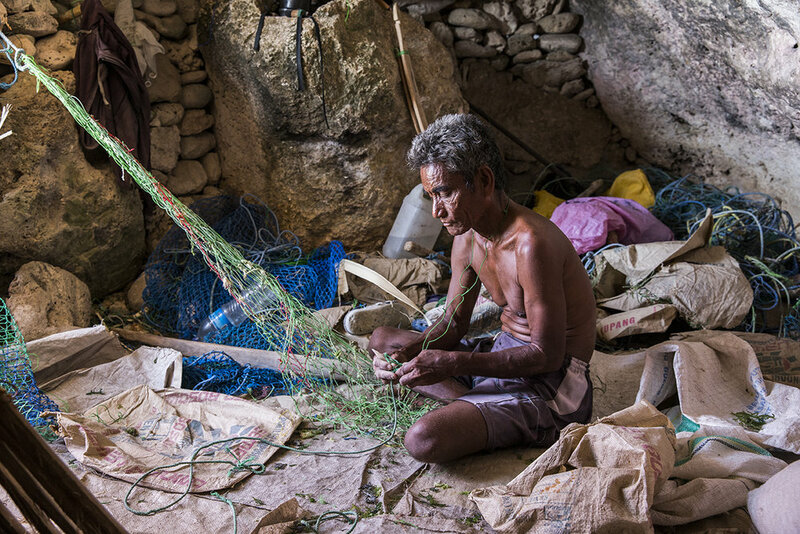 The following photos were taken in East Nusa Tenggara and showcase subsistence living (seaweed farming) which also involves the extensive use of child labour. More on this to come. 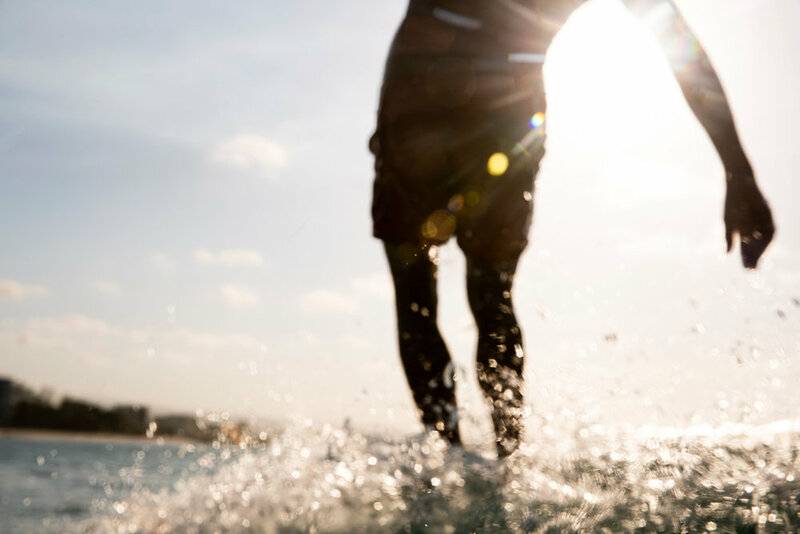 Today the World Surf League announced it would be awarding equal pay to women and men for every WSL event from 2019 and beyond. 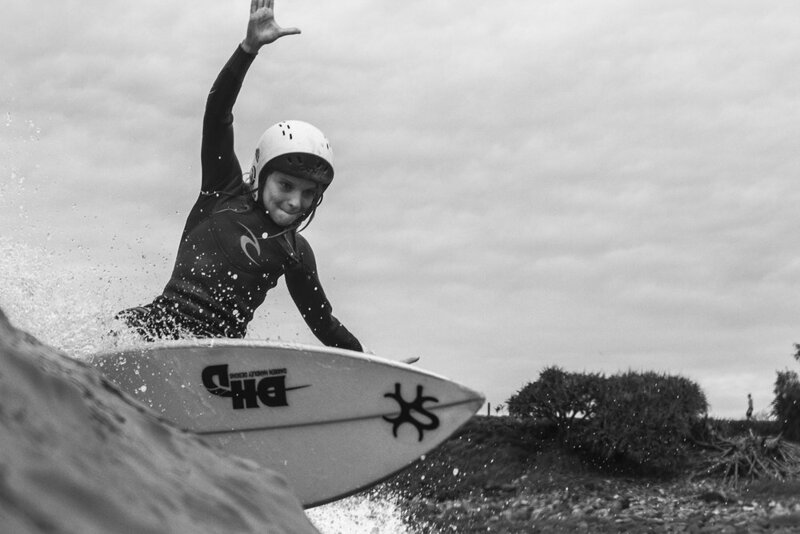 Firstly, this is a great moment for women in surfing and should be applauded. Actions speak louder than words and today, the World Surf League is taking a stand on equality. 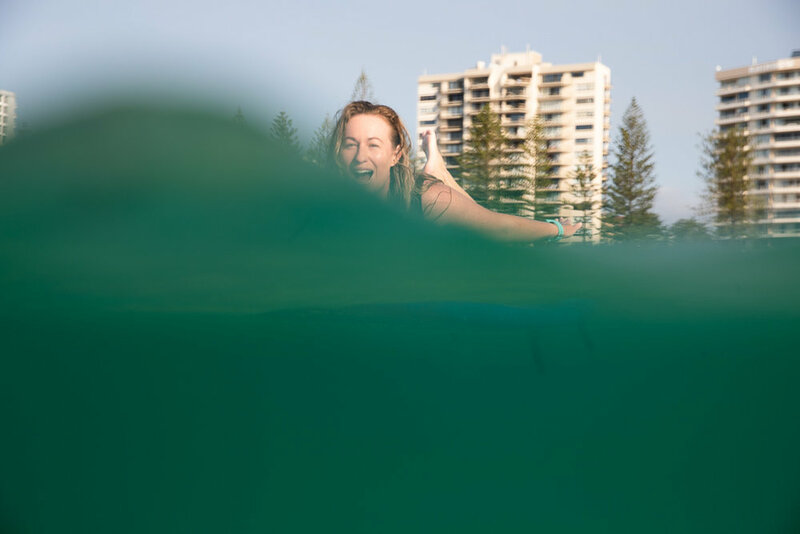 As a resident of the hotbed of surfing talent, Snapper Rocks, I have witnessed the frontline of female surfing development up close and in person over a number of years. For me personally, the fight for equality isn’t just a story on the internet. It’s real people that are part of our community, and the physical, emotional and mental toll of this ongoing struggle has left more bodies on the highway of dreams than the success stories we see. I have talked to an angry father when his daughter was declined from the local sporting excellence programme in a Government funded school, which at the time had allocated 4 spots out of 32 to females for surfing. I have seen the distress on a mother’s face as she told me about the debt she is going into in order to buy a flight for her daughter to the next WQS event because her sponsorship money was inadequate, despite her being ranked inside the top five in the QS World Rankings and appearing well supported by a big-name sponsor. I have seen two former female world surfing champions working in Coles and Bunnings (that’s Aussie for Walmart) to support themselves during and after their surfing careers. I have watched a former WCT competitor break down in the arms of her friend and fellow competitor in the athlete’s toilet block after a late season loss which meant she wouldn’t be able to qualify back onto the world tour and her entire year of training and money spent suddenly disappeared into redundancy. Hell, I consoled my friend after she missed out on the world tour by a single spot, her hand cut up and bloodied from punching her surfboard into pieces after the loss that cemented that fate. And these aren’t ‘no-name’ surfers. Four share 600k followers on Instagram between them and this is only touching the surface of experiences I have witnessed and shared as a female in the surf community. 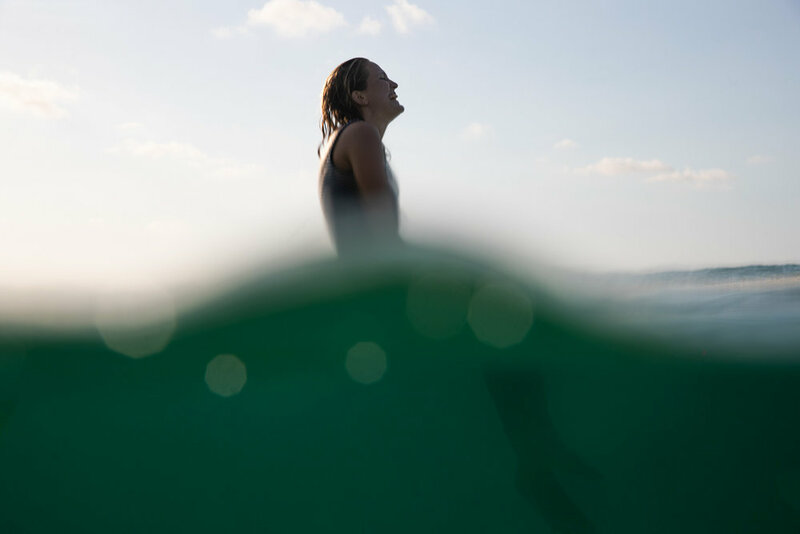 The sacrifice, dedication and commitment shown by women in surfing is real. It was real when Rell Sunn raced down the face of a giant bomb at Makaha. It was real when Pauline Menczer traded Levi jeans for money to fund her world tour ambitions. It was real when Silvana Lima made a comeback onto the world stage after a decade and how many knee surgeries. And it is real every single day I witness an army of females young and old, board under arm, paddling out at the rock, some with world tour aspirations, others, just trying to get that one wave. To recognise and respect the struggle that has passed, and to celebrate a hopeful future, please enjoy this small selection of images of some powerful, strong young women I have had the honour of photographing. This is only a small group of the thousands of young women who are making a difference every day. Many from Asia, Africa and Europe are fighting every day and are not adequately represented here, but whose struggles are not forgotten or diminished. Prize money will now be equal. The elephant in the room is endorsement money. But for today, we celebrate a milestone representing the progression to a future of equality. Always thankful for the support of our surf media family in bringing to light the issues impacting our world. I got the text message from a close friend around 3pm. Happily nestled up at Uluwatu, I almost couldn’t believe what I was reading. Intrigued, but somewhat non-fussed, having watched Canggu already develop from an idyllic rice paddy paradise to urban-hipster scene, I hesitantly jumped on my moto for the hour ride on the chaotic Balinese roads to see what was going on. Meeting up first with my friend in the Canggu satellite suburb of Berawa, I smirkingly asked, “So…what’s going on?” Half expecting some silly answer like Canggu had run out of Almond Milk or rainbow coloured yoga pants were out of stock and the hipsters and yogis were causing a scene, I wasn’t prepared for what I was about to hear or witness. There couldn't be a greater chasm in lifestyle differences between Bali and Lombok, despite it being only a 25 minute plane ride apart. Joining Madison Stewart on her Australian Geographic documentary, I witnessed a complex story of consumerism, poverty and environmental destruction. There seems to be no right and wrong because the issue is not black and white. We joined a shark fishing boat, Pratama, named after the first son of our captain Odi and took to sea. We witnessed sharks being finned in large quantities on land. We were the first foreign visitors to our captains tiny fishing island village that houses 1400 people, a place of dilapidated shacks, but beautifully welcoming people. Odi opened his simple home to us and his family graciously fed us more than I can imagine they would ever eat. What was apparent is that systematic and entrenched poverty leaves those affected with little freedom and few choices. Freedom of choice should be a human right, but in reality it manifests as a privilege for what is actually a minority of humans on Earth. I am looking forward to sharing more personal images at a later date as a larger collection of my developing understanding and experiences in Indonesia. Thanks to the amazing team Madison Stewart, Perrin James, Sean Samer, Kristy Lee Hillas, Mark Hwang and Fiona Lee. Follow Madison Stewart on Instagram @sharkgirlmadison to stay tuned to the story. Art exhibitions are never a gathering of like-minds. Diverse thought, progressive sentiments and culture shakeups are just a small part of the happenings when people walk a path sans rules. I always enjoy going to exhibitions because I always seem to walk away with something new to think about, and feel a sense of encouragement and courage at the bravery of thought and action taken by artists around me. 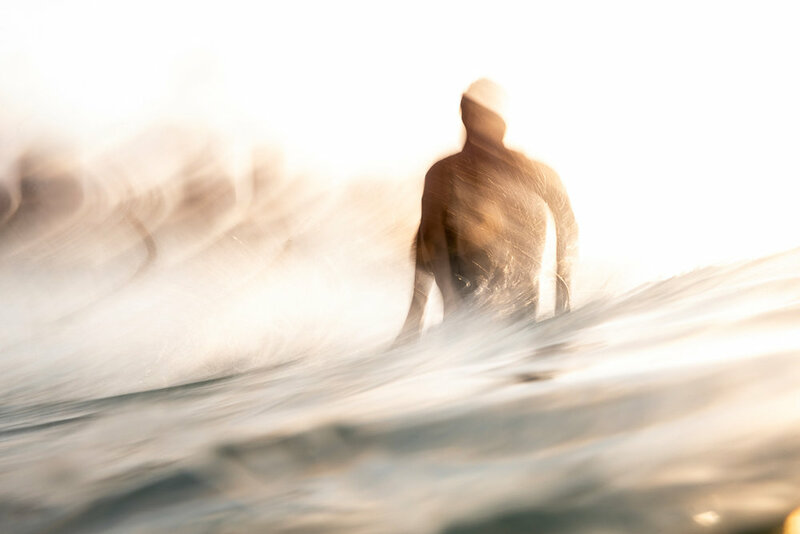 Surf culture is something I am obviously familiar with, but I must admit, the ‘Hollywood’ nature of the surf town I live in can leave me feeling like a horse with blinkers on. The act of surfing is more than training for the tour, getting photos for sponsors and buying a house with the proceeds. I am excited to explore surfing, community and culture in more depth over the next years as I try to develop my understanding of the world around me! Thankyou to Rebecca Ross at The Walls and Byron Coathup at Maverick, for including me as an artist in the inaugural Surf Salon exhibition, and giving us the space and freedom to pursue our creative endeavours! It was an honour and privilege to be an invited artist for the exhibition “Matters of the Ocean” as part of the UN Environment and NOAA 6th International Marine Debris Conference presented by the Johnson Ohana Foundation. Natural processes and human activities along the coastlines and far inland affect the health of our ocean. One of the biggest sources is called nonpoint source pollution, which occurs as a result of runoff. Nonpoint source pollution includes many small sources, like septic tanks, cars, trucks, and boats, plus larger sources, such as farms, livestock ranches, and timber harvest areas. Trash and pollution is an undeniable source of concern for global communities. In developing nations, it stares people directly in the face as many of these places struggle with waste management systems, and the natural environment becomes the default waste outlet. Developed nations with functional waste management systems are also facing a trash crisis, because as we are seeing, we are all an interconnected species on this planet. Ghost nets from fishing vessels in Asia can wash up on Australian land, devastating local animals. Likewise, a plastic bottle thrown into the sea by a person in Australia can just as easily end up on the shores of Asia. Those nations in positions to help beyond their own borders, I am convinced, must do so. 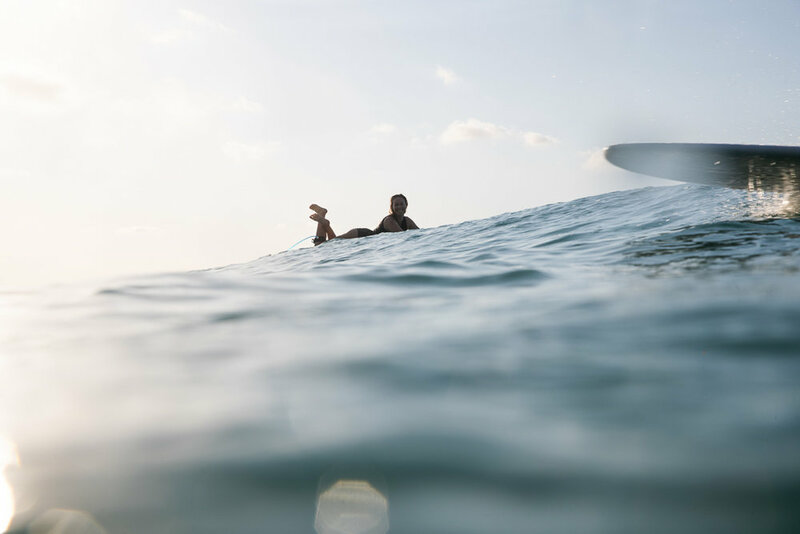 As an Australian, as an artist and as a surfer, I enjoy the privilege of exploration and discovery of lands beyond my own. My photography captures many worlds. The beauty of the ocean as well as the chaos. I see an important role for artists in conveying a larger message that covers both the positives and negatives in the world around us. Total negativity can lead to despair and apathy. Total positivity can lead to complacency and inaction. I believe understanding the interconnectedness of our world will play a vital role in addressing and attempting to solve many of the crisis facing our planet, with trash being only the tip of the iceberg. Thankyou to FINEPRINT co for supporting my participation in 'Matters of the Ocean' exhibition at the United Nations and NOAA 6th International Marine Debris Conference. An overlooked part of many photographers and artist careers are the people behind the scenes willing to financially support the development of art. I am very appreciative for the ongoing support of FINEPRINT co in photographic endeavours. Steeped in the history of the Indonesian archipelago, the Spice Islands holds an allure of untold riches to those keen to make passage there. 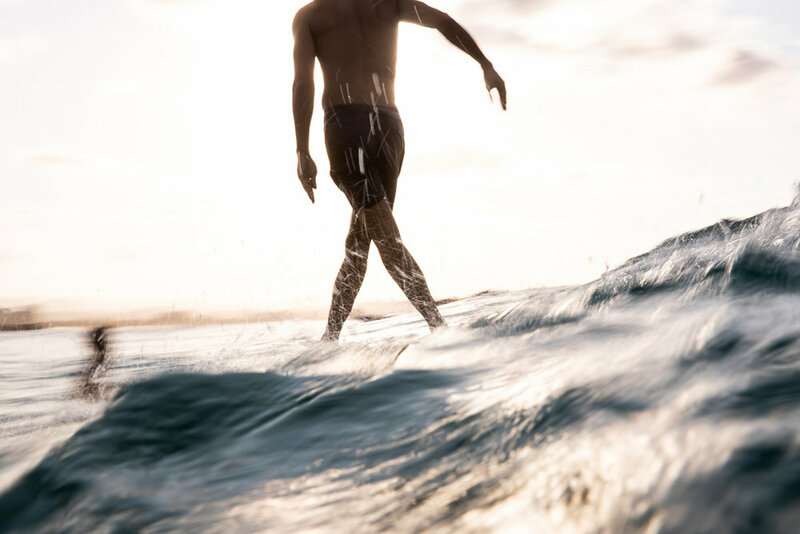 Anywhere on this planet where ocean meets land form, the opportunity for a surfer to find her own riches is endless.